What Users Do Review – Earn Cash For Giving Website Feedback. Over at What Users Do, they can help you in a couple of ways. Firstly, if you’re a business owner, you can get feedback on your website for set amount, depending on what package you go for. You can also join their testing panel and get paid to check out different websites and provide valuable feedback. What Users Do is a legitimate usability testing website and I’ve reviewed a number of them in the past, (see some here). Usability testing is also one of the few small-time earning opportunities that I recommend, because they may more than survey-related sites and can be quite fun to partake in. As well as being rewarded for your time, your personal opinion could also help shape what could be well known brands of the present and future. For the purposes of this article, I will focusing on the benefit of becoming a tester with What Users Do, where you can sign up to join their panel and take simple tests for cash. How Do You Make Money With What Users Do? 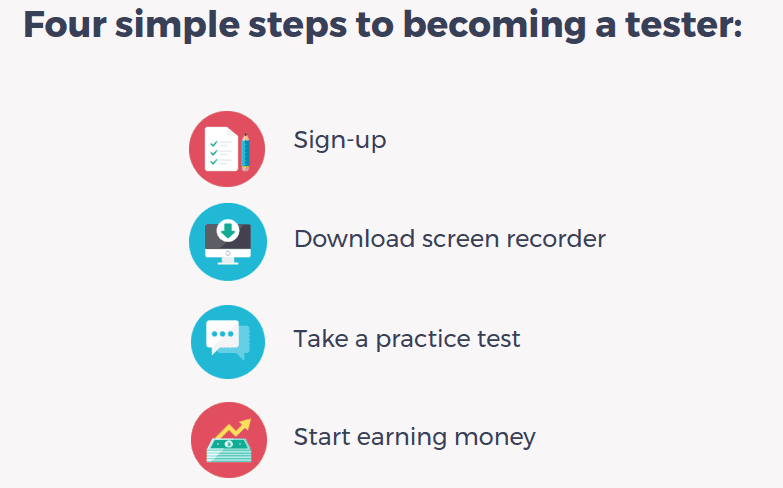 To get started, you’ll first need to sign up to join their panel of testers. In order to do this, scroll down to the bottom of the main page on their website and click where it says: join our panel. In order to join, you initially need to fill in some basic information and your paypal email address. If you’re in the UK, you also get the option to be paid via direct debit. In order to complete the tests, you must either be working on a PC/windows, or be an Apple Mac User. I’ve recently made a switch to a Chrome book – which is no good for taking these tests, so I still need to go back to a laptop whenever I want to complete any. As well as those basic requirements, you’ll need to speak and read English and have a webcam and microphone. What Users Do suggest that you may get somewhere between 3-5 tests sent to you per month, potentially making you around £15-£25 per month. You can increase your earning potential by joining a variety of Usability testing websites – which I recommend if you want to make anything reasonable money wise. Each month you’ll be paid on the 25th via PayPal. Once you’re signed up, you will also need to complete a mini test. This test is not difficult at all and will take just a few minutes – but just ensures you can express yourself clearly and put your points across. It’s essentially a shorter version of the main tests you’ll be doing, so you will get a good sense of what is to come. You’ll be told step-by-step exactly what you need to do to complete the test and you just need to follow the instructions. You may not hear back for 1-2 weeks, so won’t know whether you’ve been accepted right away. Once you have been accepted, you then need to wait for any potential tests to be emailed to you. If you’re familiar with Usability Testing, such as User-Testing, they all work in a similar way. When you’re emailed with a potential test, you’ll be asked some questions to ensure you’re in the right demographic. This will depend on various factors such as your age, occupation, location and individual factors the company is looking for. Before you start the test, you’ll be given a set of instructions and will need to complete a number of tasks when you visit the website in question. This often includes things like: Your first impressions, what you believe the site to be about, how simple aspects are to navigate, what colours or design appeals to you and so on. What Users Do record your actions via a webcam – try and speak as clearly and naturally as possible without any long pauses. Share your thoughts as you go, as well as anything you feel confused about. Often it can be the negative experiences that can provide the most valuable information, so don’t worry about sharing your thoughts – whether they’re good or bad. Let them know what you find easy to understand and what you’re finding difficult. What you feel may be missing, or what you feel is unclear. Tests may last somewhere between 10-20 minutes. As soon a your test has been approved, you should find the money visible in your What Users Do account. Although there are other sites that pay $10 per test, those tests do require a 20 minute review and these tests could be shorter than that. What is also good to know, is there is no minimum payout threshold. So, you can be paid at the end of the month, after completing your first test. Again, this makes a nice change from some survey sites that can take ages to reach the payout threshold. 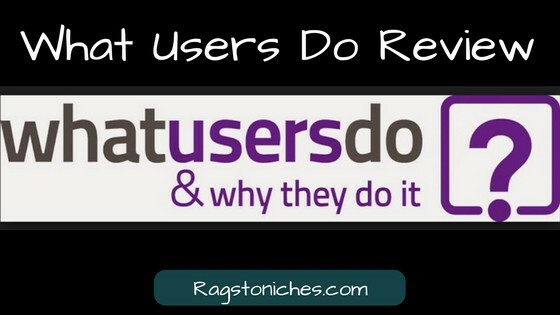 What Users Do Review Conclusion- Is It Worth Your Time? Overall, if you’re interested in making money online in this way, it’s another website to give a go! But it’s a legitimate opportunity and a good way to make a little extra pocket money on the side. Have you had any experience with What Users Do, or Usability Testing in general? Let me know in the comments! Want To Make More Online? I talk about various ways that you can make and save money online, but if you’d like to make more substantial money in the long term, I recommend you start building your own blog, or an online business. A couple of years ago, I really knew nothing about how to start a website, let alone make any money from it whatsoever, so it can certainly be done!! Thousands of people make money online by building their own websites, and it’s not as complicated as you may think. If you want to check out where I started >> Find Out More Here. I rarely got invites to this site, and the tests closed too quickly for me to participate. They eventually deleted my account without even notifying me first. There are much better user testing sites out there. Thanks for your feedback Jeina. What’s your favourite user testing site? Thanks!